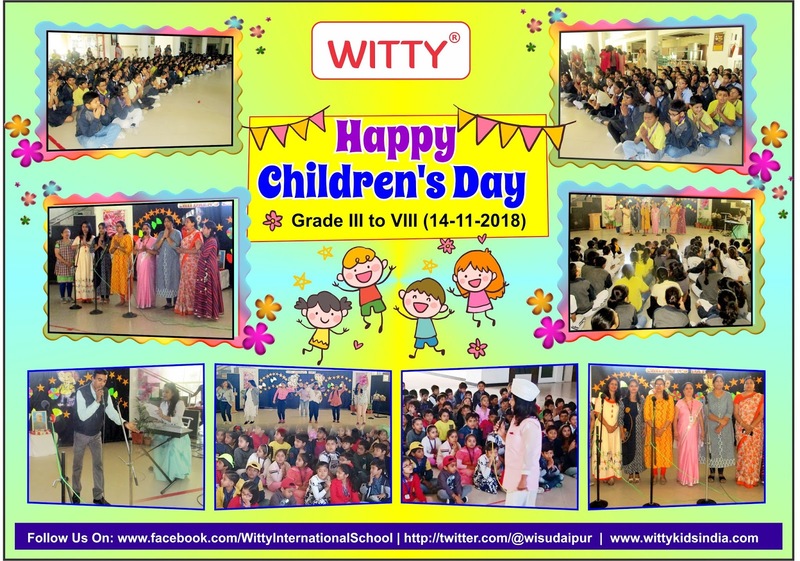 Witty International School, Udaipur celebrated the Children’s Day with great splendor and fiesta. The day commemorated with immense joy, enthusiasm and magnificence to pay tribute to our first Prime Minister Pt. Jawahar Lal Nehru who loved children and believed nurturing them would foster their growth. The celebration began with a prayer conducted by teachers followed by a colourful theme-based dance. 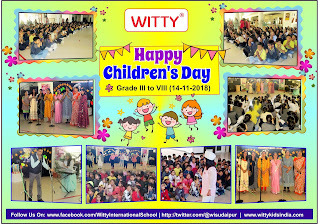 The teachers sang and enacted to entertain the children and made the day truly remarkable for them.